He is, for many supporters including me, by far the greatest manager Brighton have ever had. Certainly the most successful. When he speaks, it is full of passion and candour. For someone known for his fiery temper, he seems to have significantly mellowed. Watching the video is a lovely experience, probably a bit like having Alan Mullery for tea in your living room, so intimate and warm was the atmosphere. Even so, as well as fascinating, I also found it slightly maddening, as some of his account of his career was clearly not factually accurate. Is it too pedantic to point out that the Fulham v Brighton game from 1972/73 that he mentions ended 5-1 rather than 3-1 to the London club? OK, everyone gets a score wrong every now and then. Crazily, though, he talks about getting angry with team mate Jimmy Dunne for leaving Fred Binney unmarked. Suffice to say, Fred Binney was not a Brighton player at the time. As for the Albion player he meant, both Mullery’s autobiographies name the centre-forward as Ken Beamish. At least that’s clear. (As for another Ken, it was Ken Gutteridge that was the member of Peter Taylor’s back room staff, which Mullery mentioned later on when his mind went blank). Other clangers include Mullers saying Peter Ward was signed from Borrowash United. As we probably all know, it was actually Burton Albion. Politeness and respect probably stopped anyone calling this out! Mullery also suggested that Fred Binney was sold a week later from the now famous pre-season training session. In fact, Binney played a few matches at the start of the 1976/77 season and eventually departed a year later, to Plymouth after a summer with St Louis (Exeter was the team that Binney joined Albion from). Furthermore, in the thrashing that followed Maybank and Sayer being seen in a nightclub, Leicester also did not beat Brighton 5-1, but 4-1 in September 1978. Should we cut Mullery some slack on the events of 30 or 40 years ago? Certainly, yes. Personally, I know I don’t remember the details of everything that long ago. It’s probably the case that when you’re a participant in an event, like players and managers are, living in the moment, your recording of events in your brain works differently from that of supporters, who may be more likely to look up records of past seasons and players of their favourite club, and have accurate facts and figures reinforced that way. A participant is much more likely to record the flavour of their emotions around an experience, though. Indeed, the effortless way Mullery is able to evoke the glory years, so you can almost feel it and see it, is part of what makes events in which he speaks so enthralling. Nevertheless, I thought Mullery’s account of Ray Clarke, that he ‘never lived up to his reputation’ at Brighton, seemed rather harsh. As well as scoring himself, Clarke’s intelligent play provided such good service for Peter Ward’s only successful season in the top flight, 1979/80. A comparison of Albion’s fortunes in that debut campaign in Division One before and after the ex-Ajax striker was bought demonstrates how significant a contribution he made. To put the record straight, Clarke was sold to Newcastle for £175,000, the same figure he had cost the club from Bruges. Mullery also got quite angry about his second spell at the club, repeatedly speaking about how he was reduced to picking a reserve goalkeeper, John Phillips, as the substitute for his final match against Grimsby in January 1987 before being sacked. This did not actually happen, as Kieran O’Regan was the sub. Phillips had left Brighton in June 1981. The player Mullery was referring to was probably John Keeley, but he was in goal during the Grimsby match. Perhaps the same is true of Mullery. At the risk of being seen as overly picky, I do hope it’s OK to give notice of these errors, just in case some people are learning about the club’s history and may take it all as gospel. The best five years I had in football was not for me, it was for people like yourselves, when I was manager at Brighton and Hove Albion. They were the best five years I ever had, and I played in World Cups, played in cup finals, I played all those games and everything else. But that was the best time I ever had. 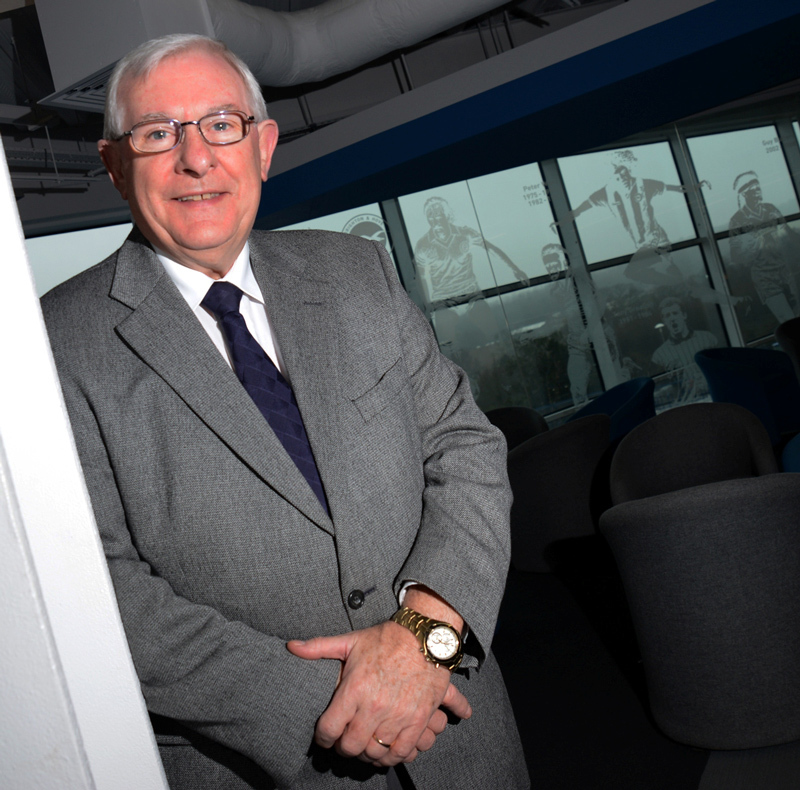 Factual errors or not, the Albion is so very lucky to be able to call upon Alan Mullery as its club ambassador. Just like 30 or so years ago, he is a doing a wonderful job in the service of the club and its supporters. Disappointing, I always enjoy my trips back into Seagulls History……but not this one. The whole wrap seemed to be centered on a critical dissecting of ageing Alans recollections. Does it matter that his memory is crap? Should have cut him a lot more slack, after all, as mentioned he was our most successful manager. Sorry. Richard, thanks for sharing your thoughts and doing so frankly. I’ve tried to be even-handed in my appraisal of Alan Mullery’s session at NWSS, but you’ve clearly found the tone rather jarring. I’m sorry that today’s article was not to your taste. I hope there’s one coming up soon that you enjoy more.